Cross the threshold into daring wearing the Jeffery-West™ Martini Love Hate Loafers. 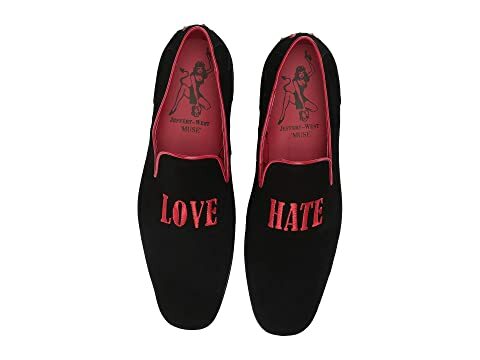 Suede loafers with embroidered Love Hate at the vamp. We can't currently find any similar items for the Martini Love Hate Loafer by Jeffery-West. Sorry!